Embark on a journey of self-renewal and decadent relaxation at the award-winning Armonia Spa at Sunset Beach. You'll feel immediately enveloped in an oasis of tranquility as your mind and body surrender to the healing touch of our certified spa therapists. The Armonia Spa at Sunset Beach offers an extensive menu of European-inspired body treatments and massage therapies, complete salon services, his and her locker rooms and wet areas, and signature Cabo San Lucas spa packages. The Armonia Spa at Sunset Beach was voted the #1 Top Hotel Spa in Mexico on the Travel + Leisure World's Best List, and was also named among Top 10 Hotel Spas in Mexico, Central and South America by Travel + Leisure. 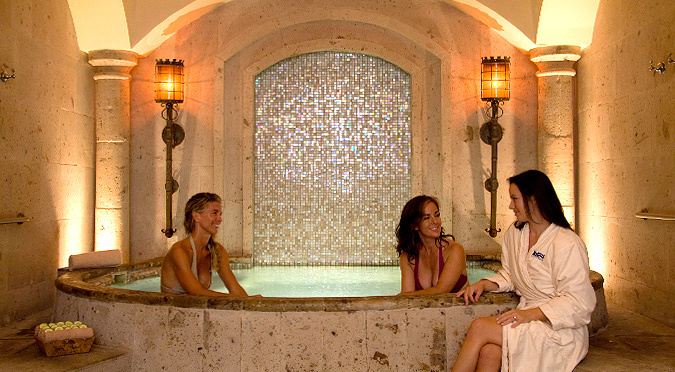 Condé Nast named Sunset Beach's Armonia spa as one of the Top 20 Best Spas in Mexico and Central America.